I have a brand new series to help you beautiful ladies find the exact style you are looking for during your New Year’s Eve festivities. 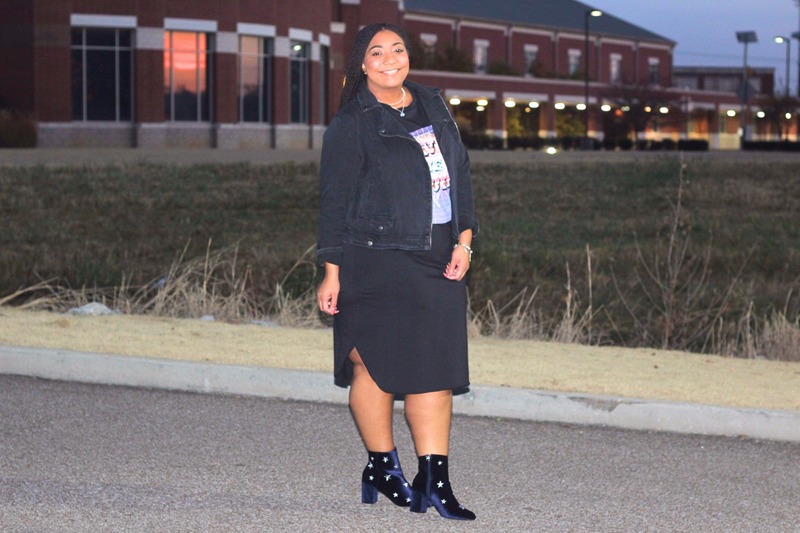 This series is so special to me, because I am taking a few of my Memphis blogger boos on the ride. Let me introduce you all! 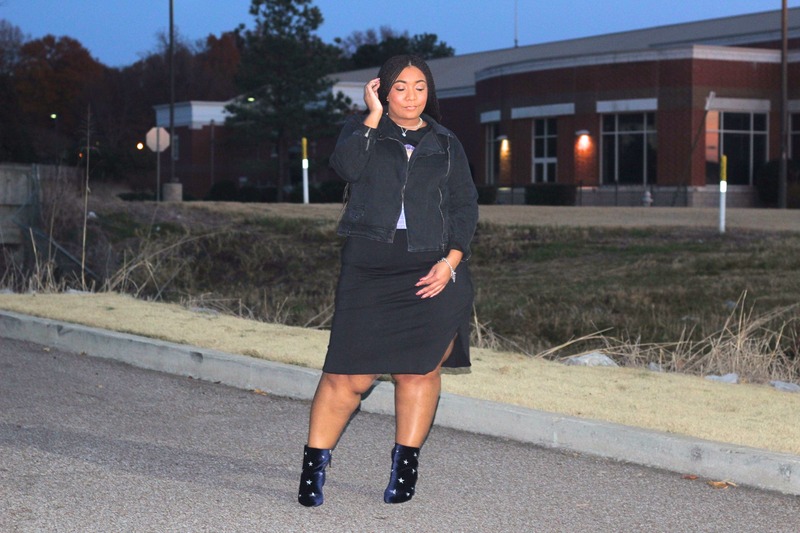 Belinda is a lifestyle blogger over at The Honey Bee 901. 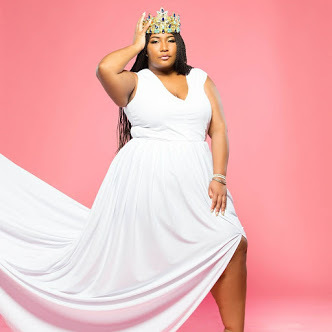 Ashlee is a chic fashion blogger over at Big World Huge Style. 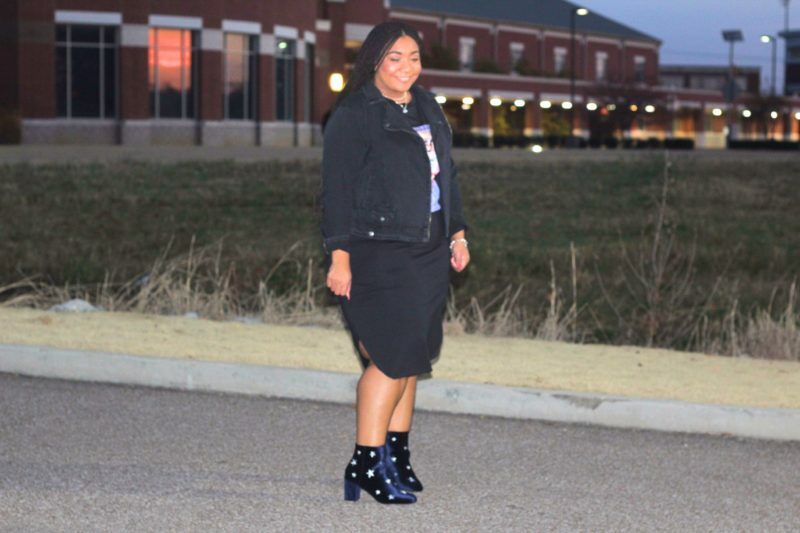 Chasity is a very fashionable fitness and lifestyle blogger over at Sweat In Mascara. 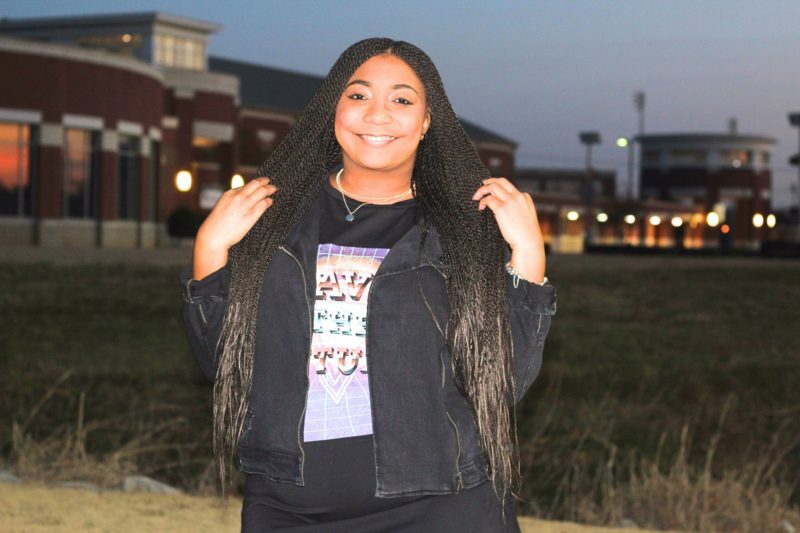 Marshella Taylor is a fashion and inspirational blogger over at TayloredxTaylor. Please head over to their blogs to check out their first posts. Now! Let’s get into this outfit! I have a real obsession with statement booties. When I saw these boots I had to have them and they did not come in wide fit so I went up a size. Shoe companies are really bringing it and I am loving it. I am happy to finally find a cute graphic tee shirt dress that fits how I like. This dress is the epitome of chill. The graphic makes it casual and the side slits add something extra. Adding a black denim jacket really completed this outfit. 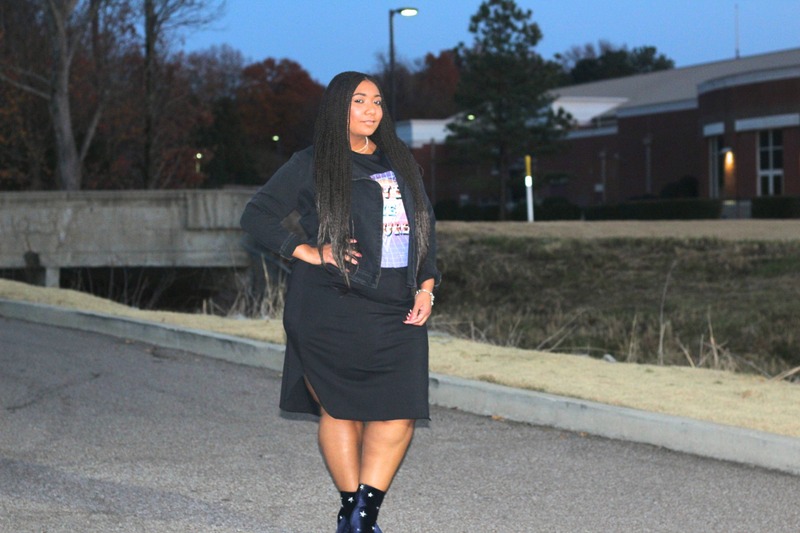 Style Notes: My graphic tee dress is true to size in a 14. I went up a size in my booties purchasing a size 11. My denim jacket is also true to size in a 1x. I have been going in on boots for this season and I love a good statement bootie. I definitely have to look into this one from Just Fab! Sooo cute! OHHHH i need those booties!!! they are calling my name! Ma’am you would rock these booties to death!!! Why are you so cute?! Those boots are a need and not a want. Thanks Toya!!! You would kill it in these booties!!! You are always so cute and fabu! Love it!! !